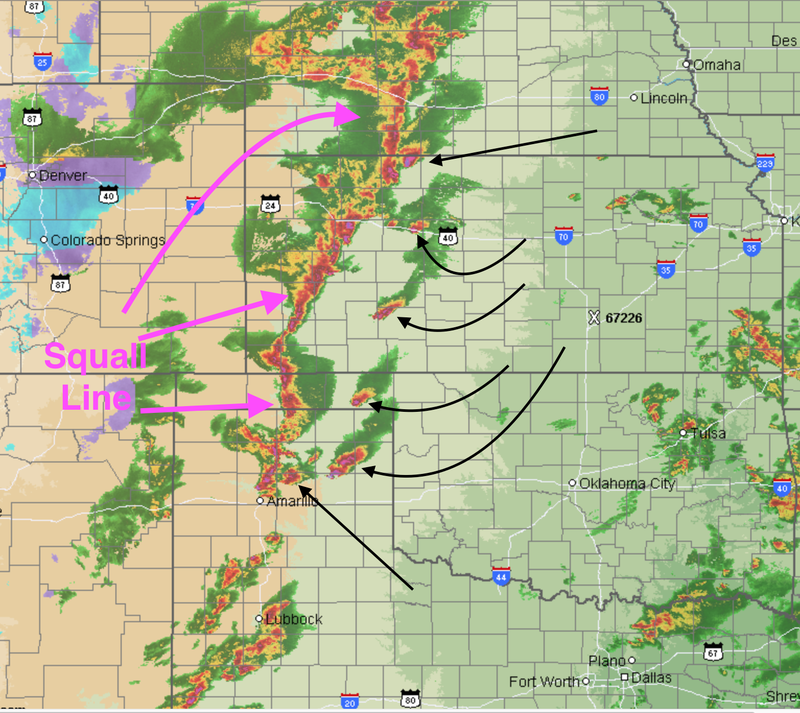 Here is the AccuWeather Regional Radar at 7:30pm. The black arrows indicate storms with tornadoes as of that time. 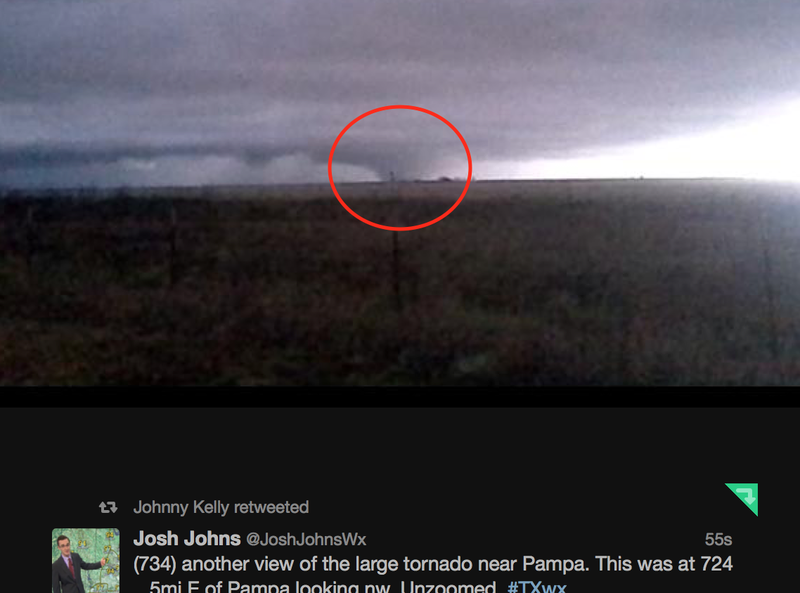 Take special note of the storm in the northeast Texas Panhandle as it has been producing a mile-wide tornado. 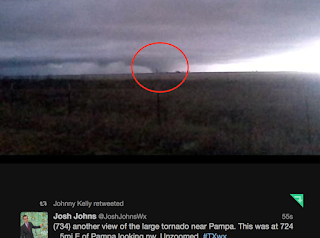 The image below, via Twitter, was the Pampa tornado at 7:24pm. West of the isolated tornado-producing supercells is a rapidly developing squall line. Later this evening, it should swoop east and swallow the tornado-producing supercells at least in Kansas. In the meantime, the tornado risk is still significant (see posting below).